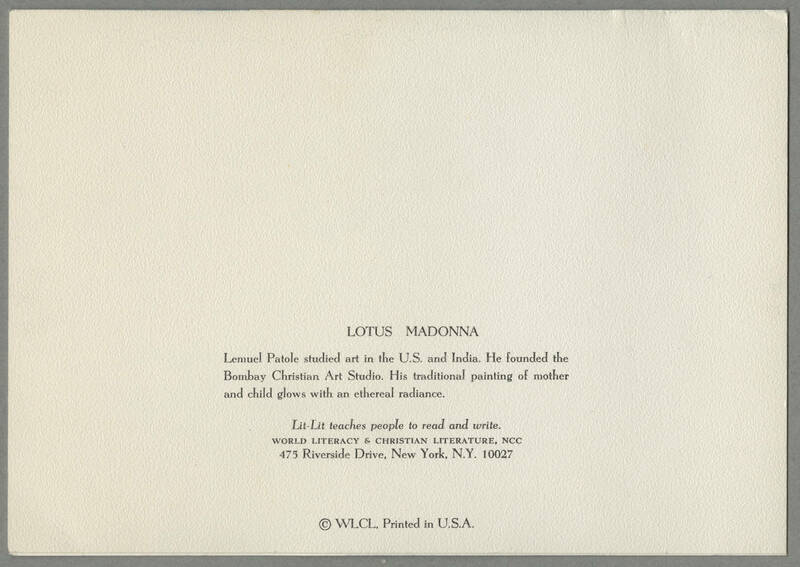 Lotus Madonna Lemuel Patole studied art in the U.S. and India. He founded the Bombay Christian Art Studio. His traditional painting of mother and child glows with an ethereal radiance. Lit-Lit teaches people to read and write. WORLD LITERACY & CHRISTIAN LITERATURE, NCC 475 Riverside Drive, New York, N.Y. 10027 WLCL, Printed in U.S.A.